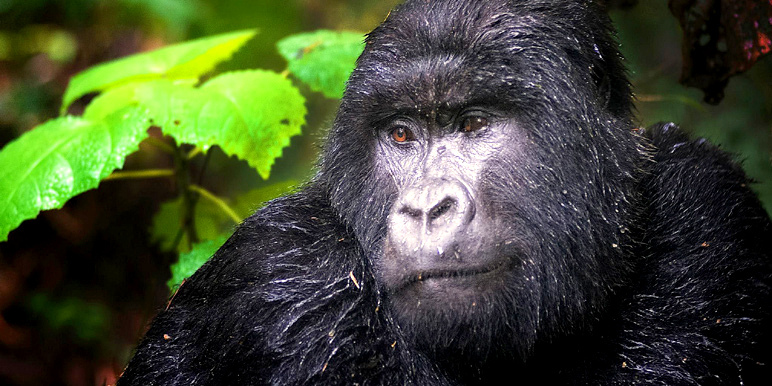 Explore classic Rwanda in 8 days… you’ll see gorillas and so much more including chimpanzees and incredible bird life. Lush rain forests of Nyungwe, beautiful Lake Kivu and the jungle of volcanic Virunga. The fertile slopes of the Nyungwe Forest National Park are exceptional – it’s lush rain forests are home to Rwanda’s remaining chimpanzee population! We’ve selected a tea plantation at Nyungwe Forest as our base for a couple of nights. 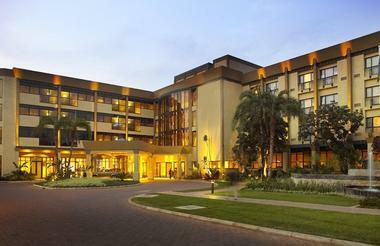 A lovely lodge with a swimming pool, restaurant, terraces, boma, fitness centre and jacuzzi. The perfect spot for a little relaxation. Our next port of call is one of the Great Lakes of Africa – Lake Kivu is great for water sports. Three vibrant towns straddle the lake which is surrounded by forested hillsides with cascading waterfalls. We’re staying at the Serena Hotel, which is in one of the best areas for bird watching. If you’re into birding this is the place for you! 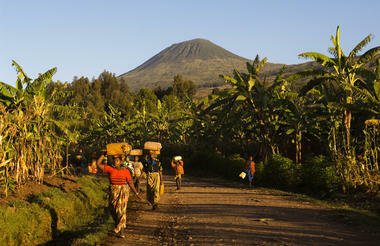 Moving on to the Parc des National Virunga and our gorilla trek. The park is beautiful and known for the rare mountain gorillas which habit it. Our trek allows us one hour with the gorillas. 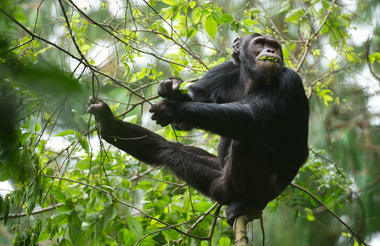 This is the regulated permitted time to see these primates in their natural environment… a truly incredible experience! 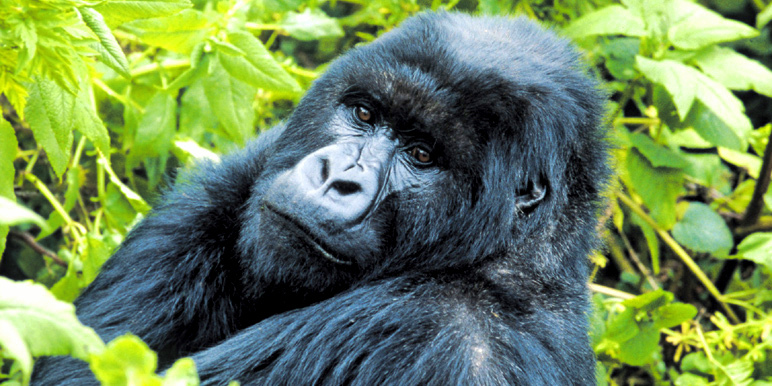 June to September – best time for tracking gorillas and biking. The dry season. November to March – is the best time for birding as flocks of migratory birds join the native species. Best for photographers as there is less haze and more greenery. Best time to track chimpanzees in the Nyungwe National Park. A Rwandan discovery... from Kigali to the Nyungwe Forest, on to the beautiful volcanic Lake Kivi. 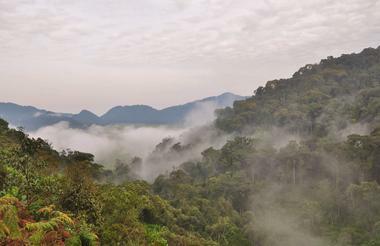 Fertile mountain slopes and lush rain forests of Nyungwe are home to Rwanda's only remaining chimpanzee population! 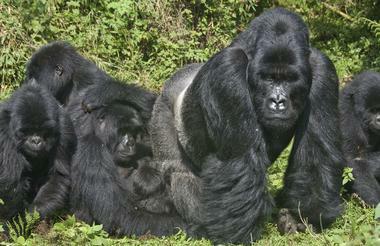 Trek rare mountain gorillas... a truly incredible experience! A tiny mountainous country full of forests, primates and birds. Rwanda is a year round destination. You'll be met on arrival by our driver for a city tour of down town Kigali. 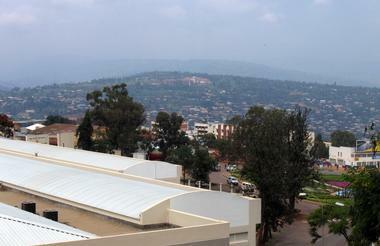 Kigali has some excellent restaurants for lunch and dinner. Ask your driver for his recommendations. You're driven south to Nyanza. Stop off at the Royal Palace and lunch in the way before arriving at the Nyungwe Forest Lodge. 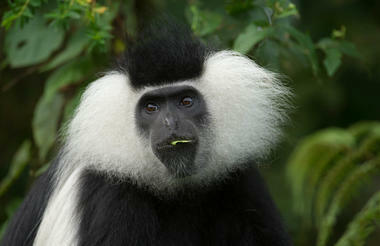 Half day forest trek into one of Africa's oldest forests to see the Angola Colobus monkey. Home to 85 mammal species and 300+ bird species. Tour of the Tea Plantation. Visit Kibuye on the edge of Lake Kivu, stopping at local markets and for lunch at Cormoran Lodge. 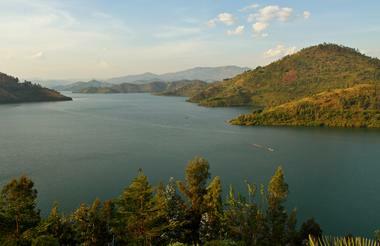 Kivu is the 6th largest lake in the world and is almost 500 m deep! You're free to explore the shores of the lake in the morning. 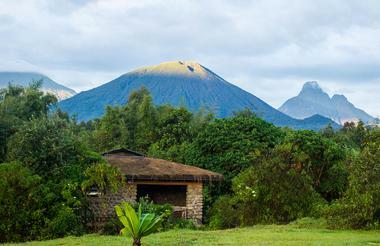 Scenic drive into the Parc de National Virunga to look at the Volcanoes and visit local villages in the afternoon. Early departure into the park for your gorilla trek followed by a guided tour of an ex-poachers village. Our lodge is about 15 mins from the NP and is a good base to explore the area. Either do a local market tour or gorilla trek/golden monkey trek (both add. cost) in the morning. followed by an afternoon drive to Kigali for the last night with farewell dinner in a restaurant. Transfer from the hotel to the airport for your onward travel. Alternatively, it's possible to add on an additional day to visit the Akagera NP, returning to Kigali for the night (additional cost). The safari starts and finishes at Kigali Airport in Kigali, capital of Rwanda. You’ll drive from Kigali through the Rwandan countryside to Ruhengeri at the foot of the Virungas to experience both primate treks before returning once again to Kigali. Flight connections are available to Rwanda from within Africa and from Europe. Speak to us if you require assistance with arranging your flights to Rwanda. 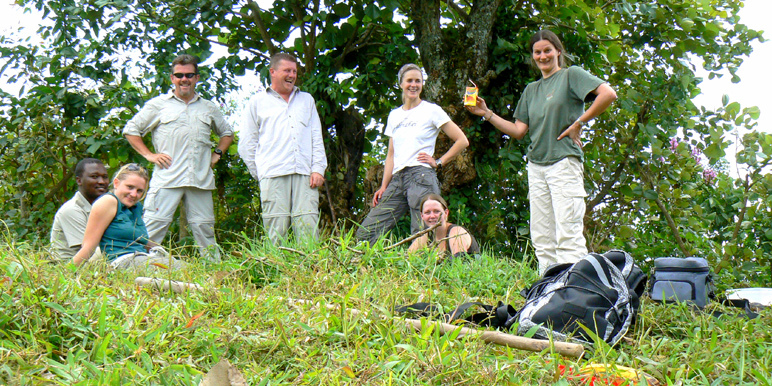 Here’s the quickest and simplest way to trek for mountain gorillas in Uganda – it’s our 4 day mountain gorilla trekking in Bwindi Impenetrable Forest.